Four days ago, Tuesday, June 3rd, 2014, American hip hop group, Travis Porter, released their new mixtape, Music Money Magnums 2, on LiveMixtapes and DatPiff. 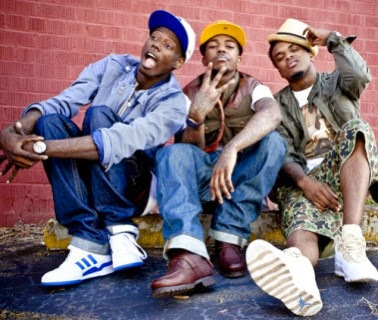 On their twelfth mixtape since 2009, starting with “Who Is Travis Porter?”, the Decatur, Georgia trio has not signaled any decrease in their music grind. Travis Porter has one studio album, “From Day 1″ (May 2012), which featured “Ayy Ladies” featuring Tyga. “Ayy Ladies”, their most succesful song to-date, earned a spot on the Hot 100 at number 56 and sat on the top of Heatseekers Songs chart. The currently RCA Records signed group has announced that they are working on a second studio album, although the name nor the release date is yet to be unveiled. The recently released mixtape, Music Money Magnums 2, features 13 tracks: one being “Pot of Gold” featuring 2 Chainz and “No Understanding” feat Phi, Juju and Luciano. On June 4th, 2014, a video was released for “No Understanding” on WorldStarHipHop. Travis Porter‘s unnamed second studio album, though there is no scheduled month, is set to release during the year of 2014.